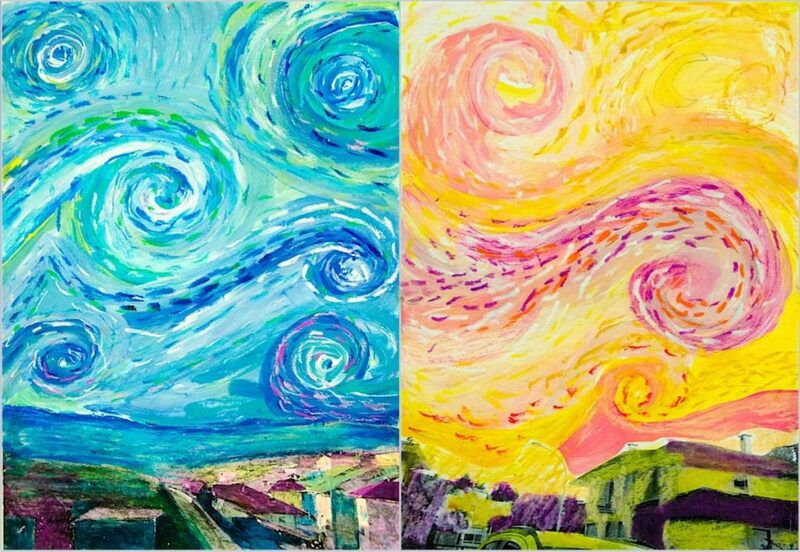 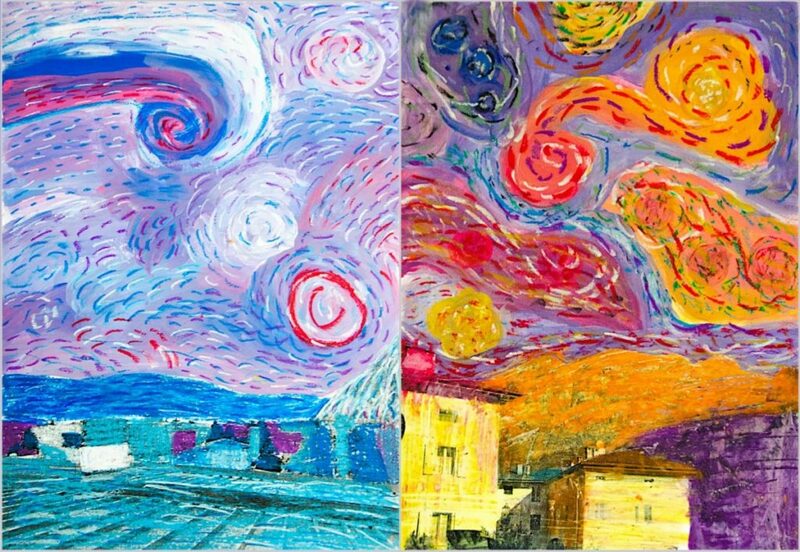 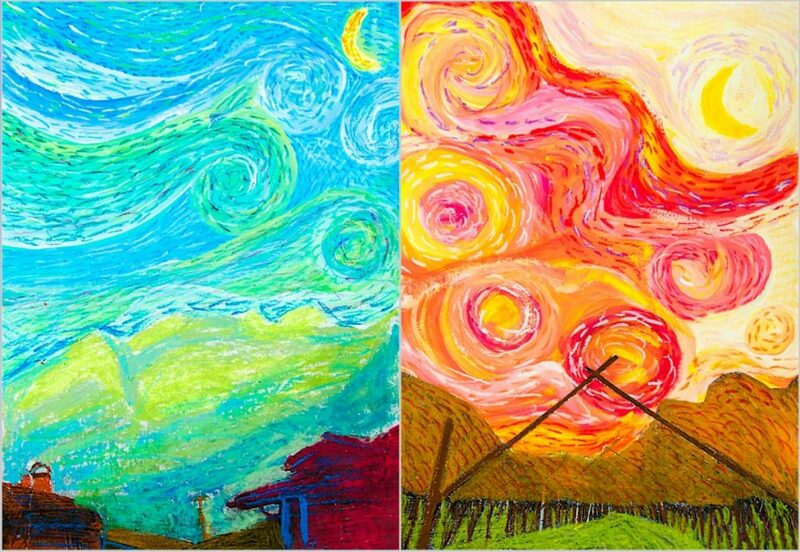 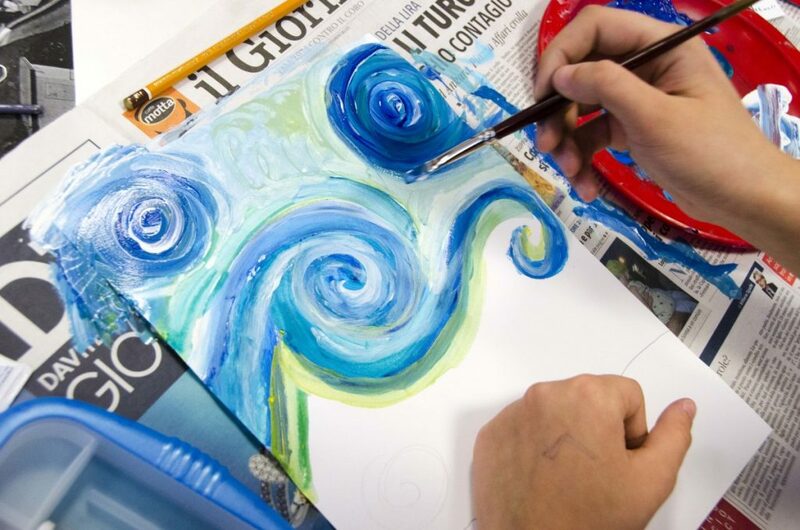 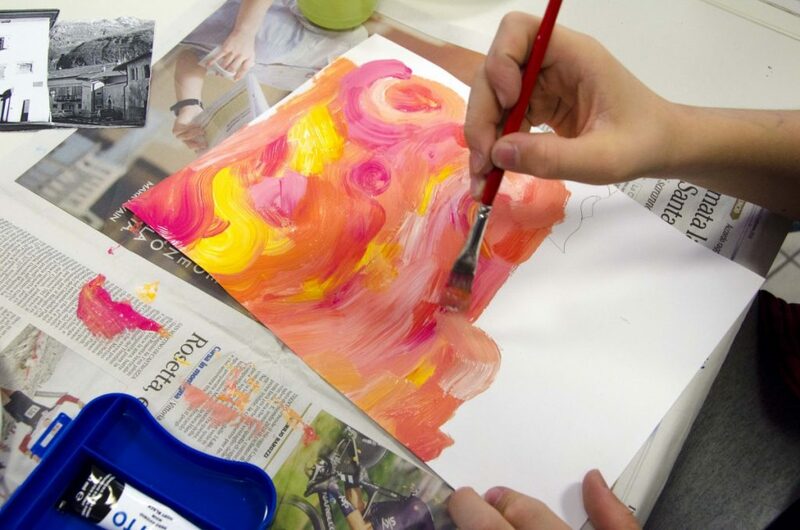 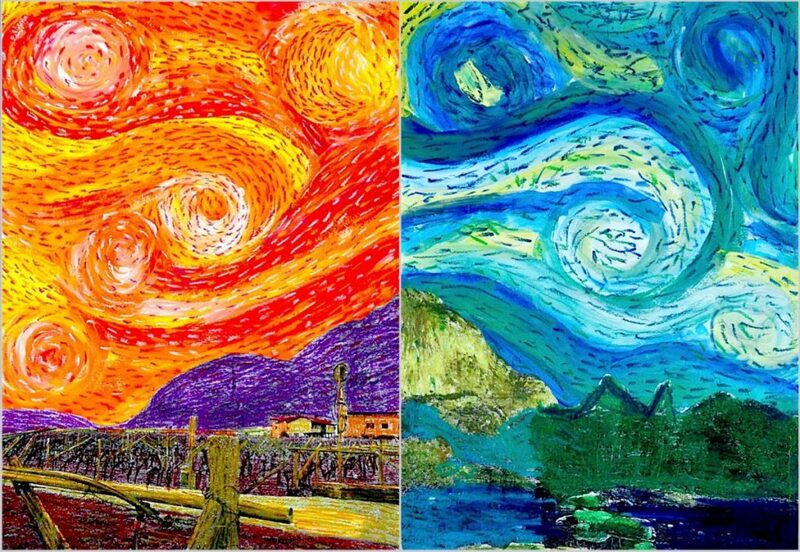 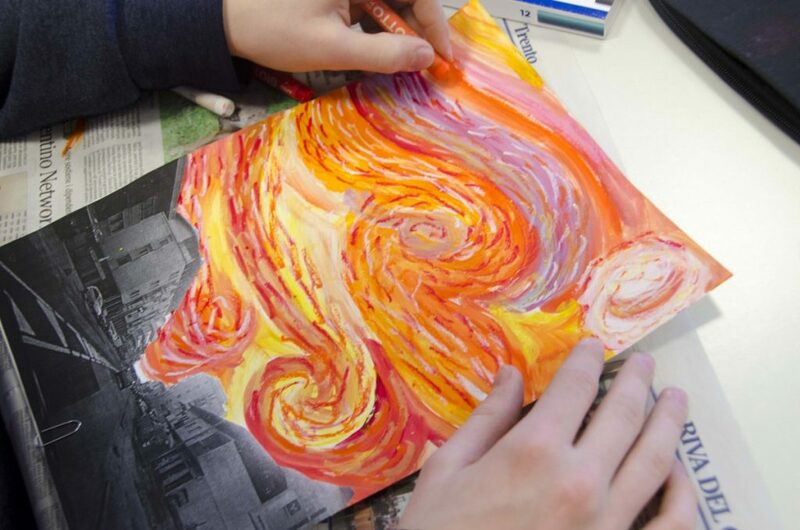 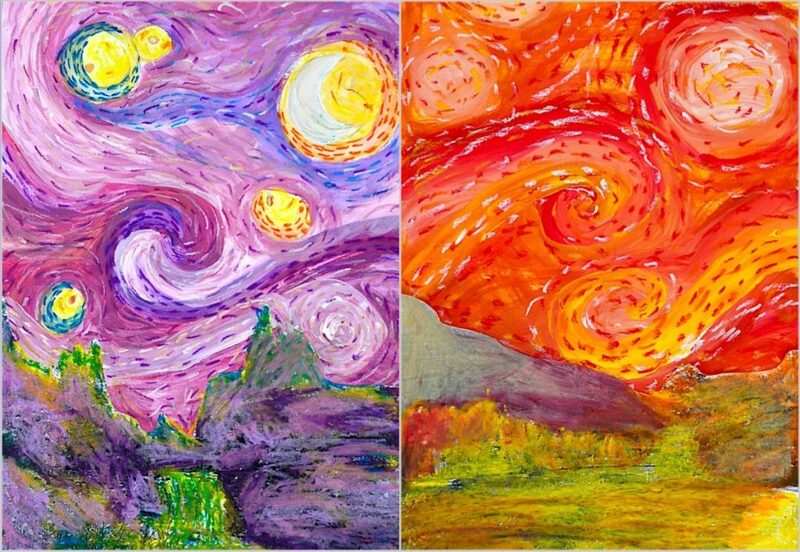 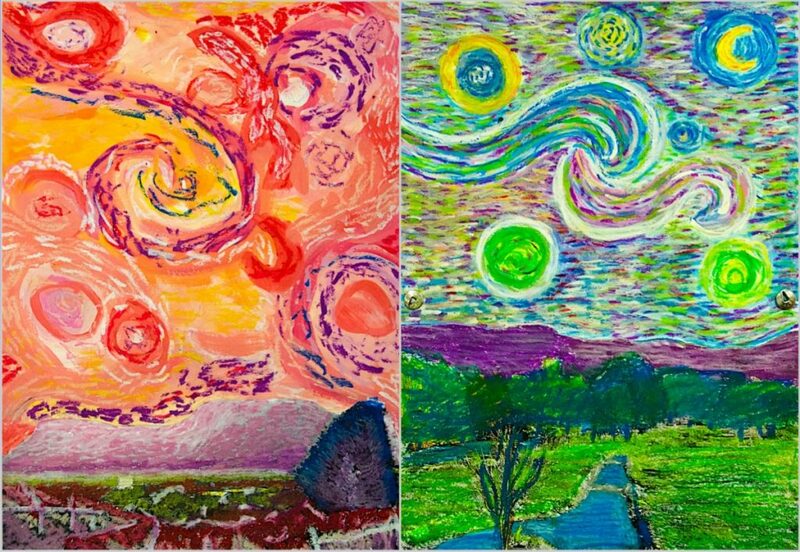 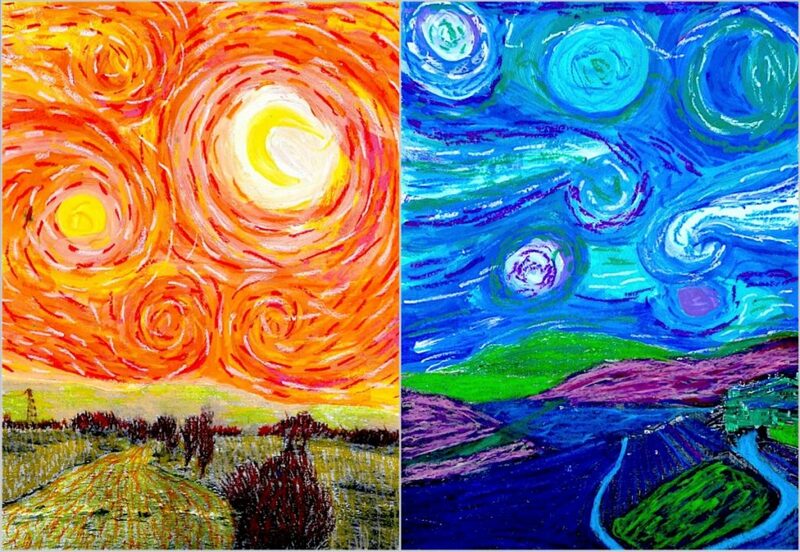 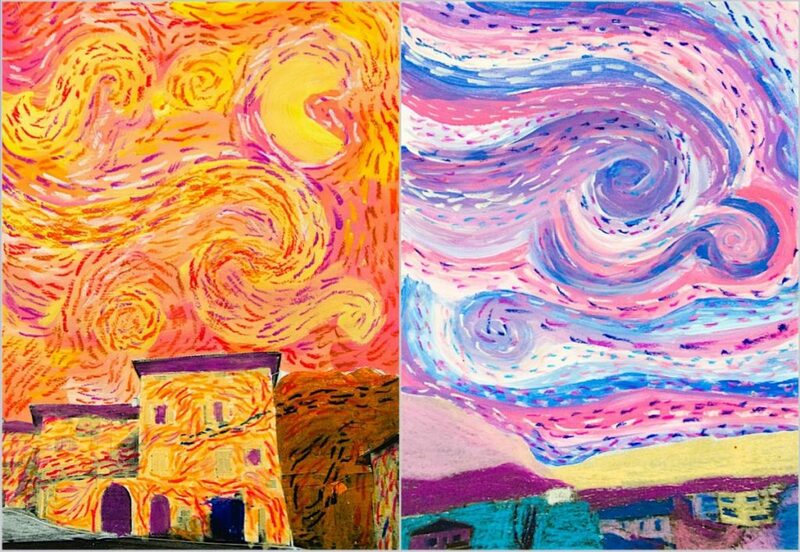 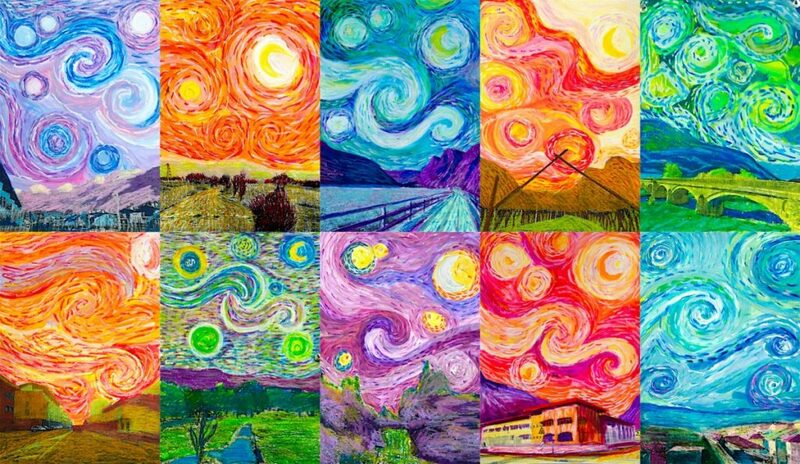 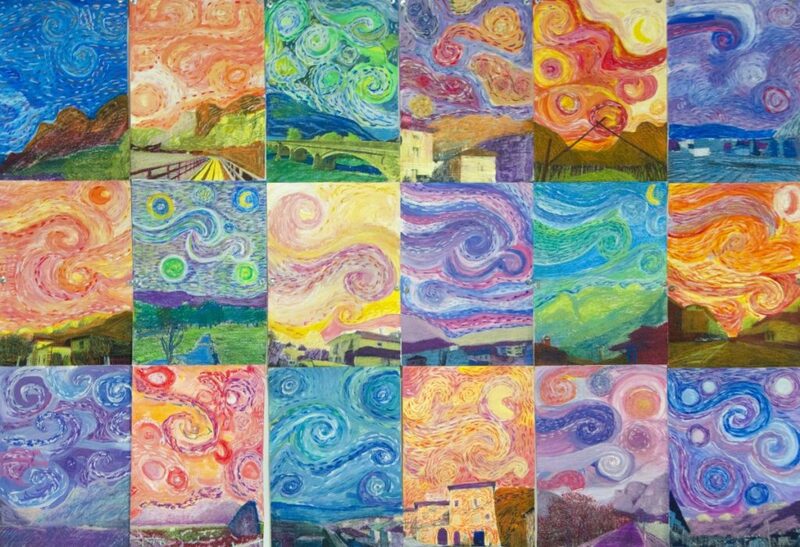 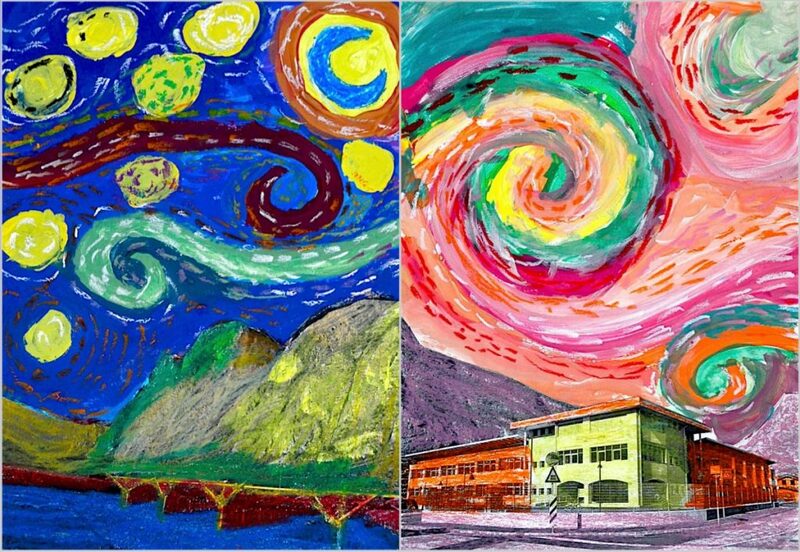 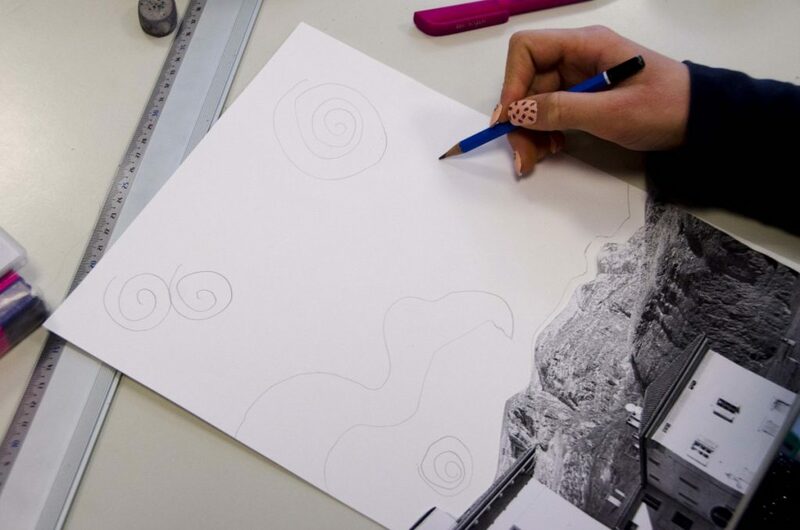 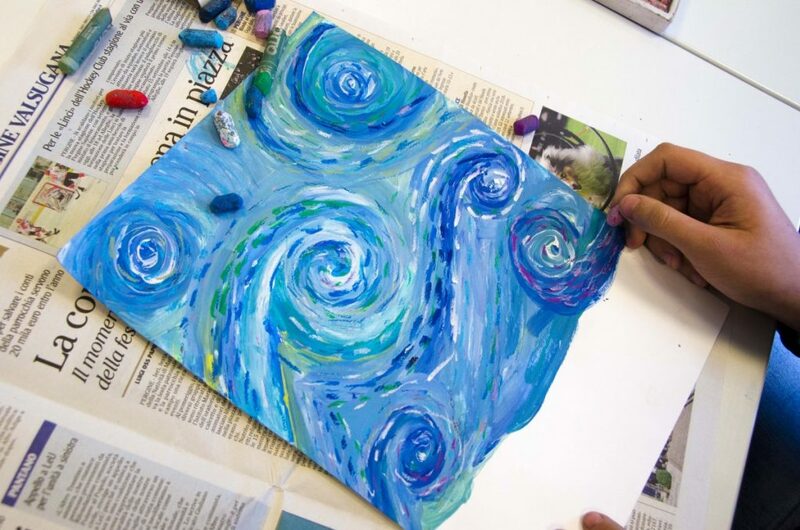 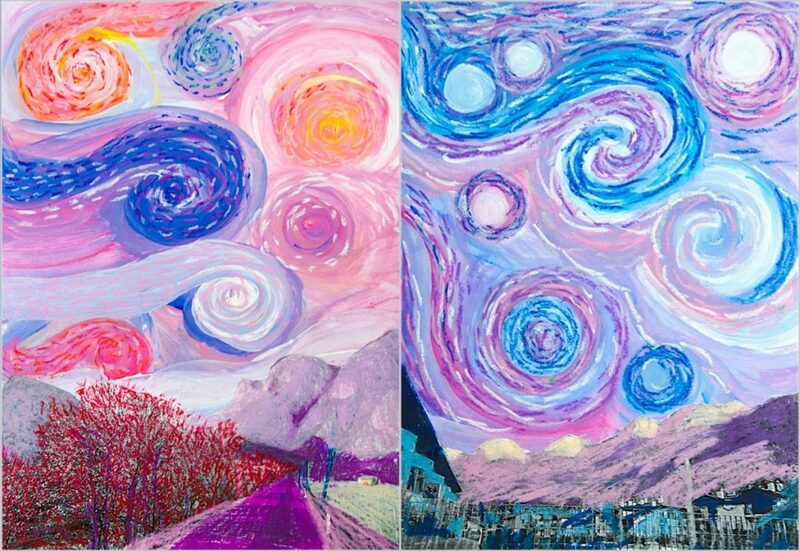 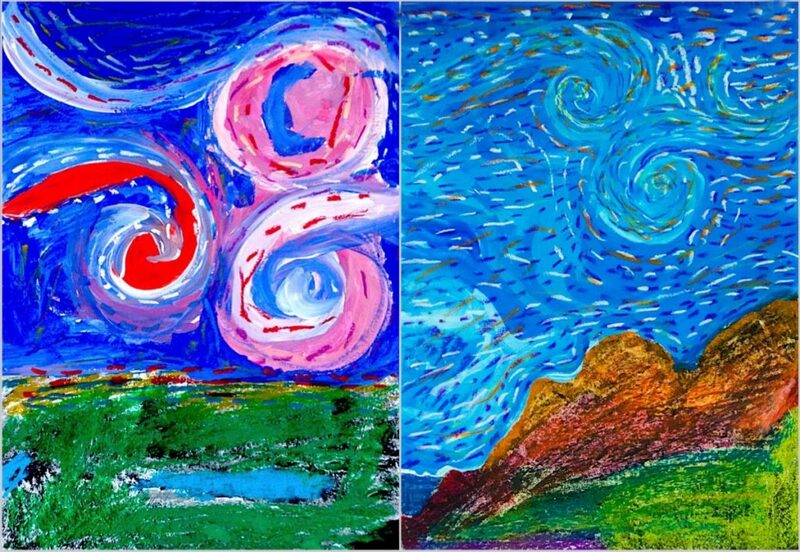 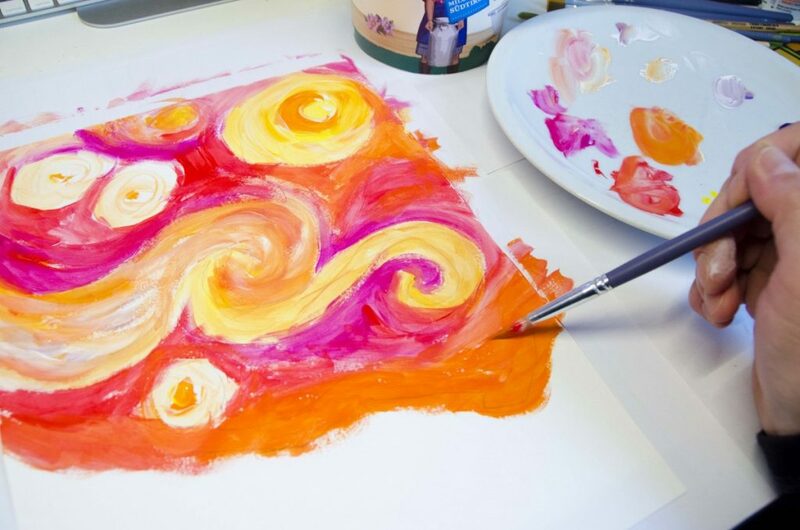 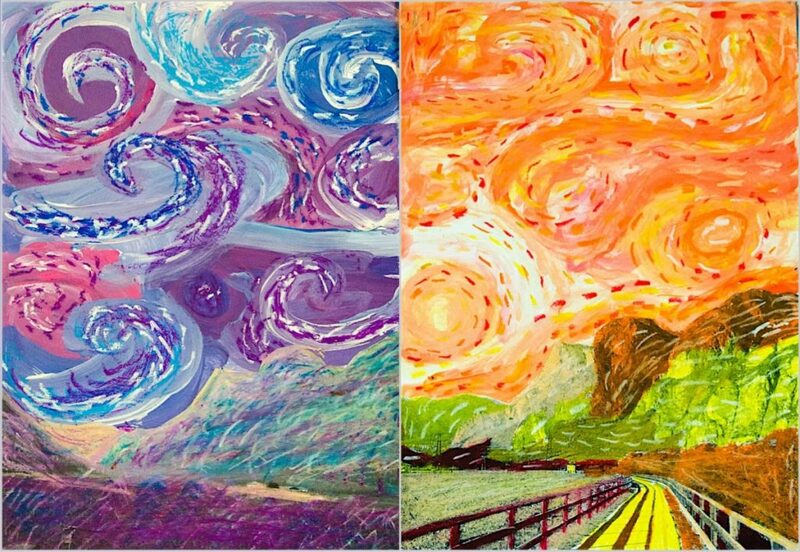 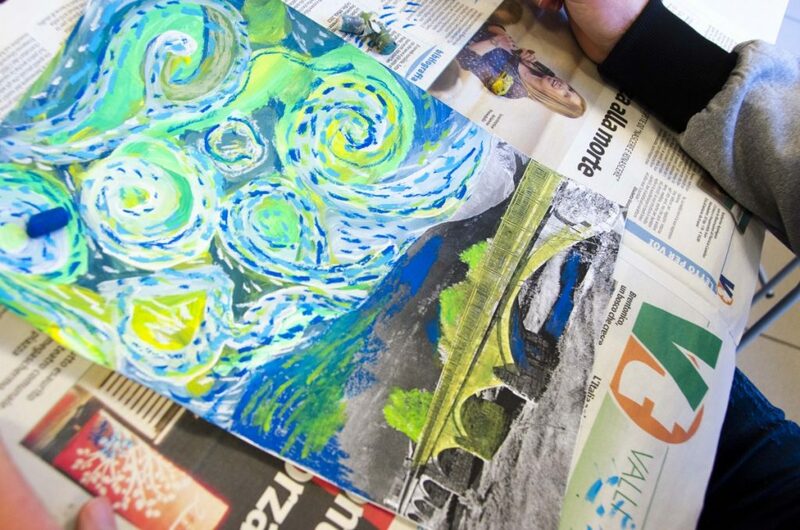 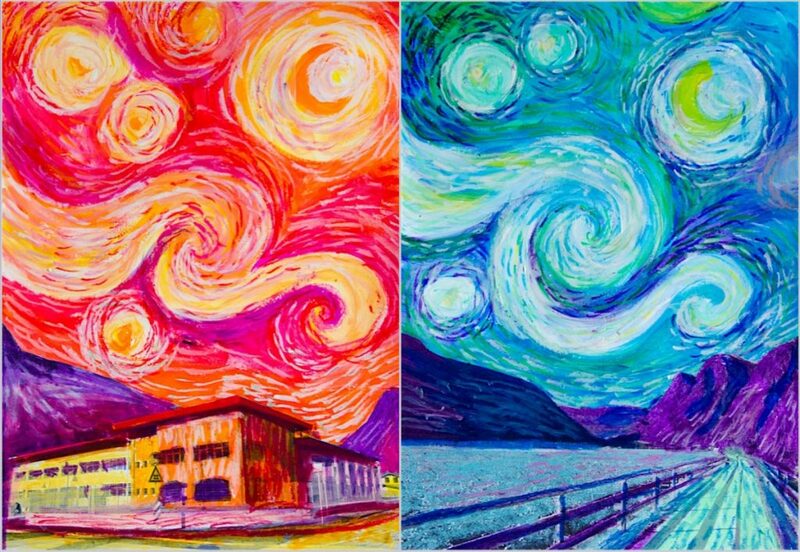 8th Grade students studied Van Gogh’s art works and his specific painting technique. 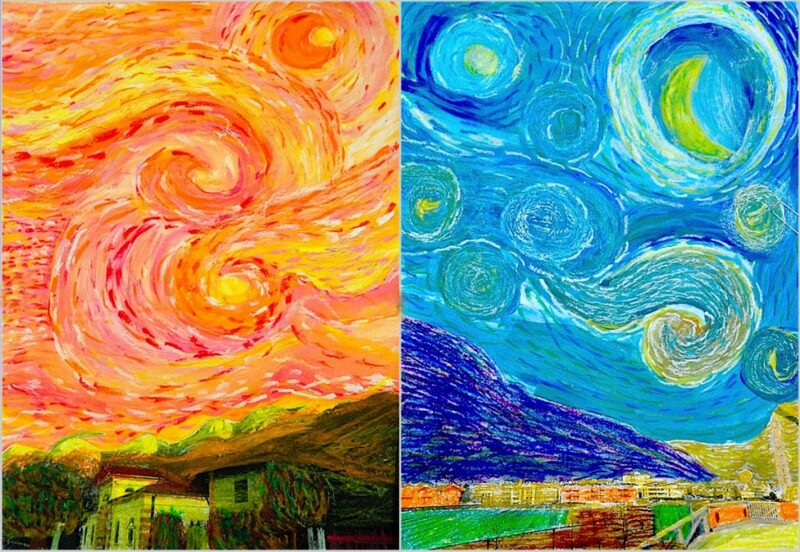 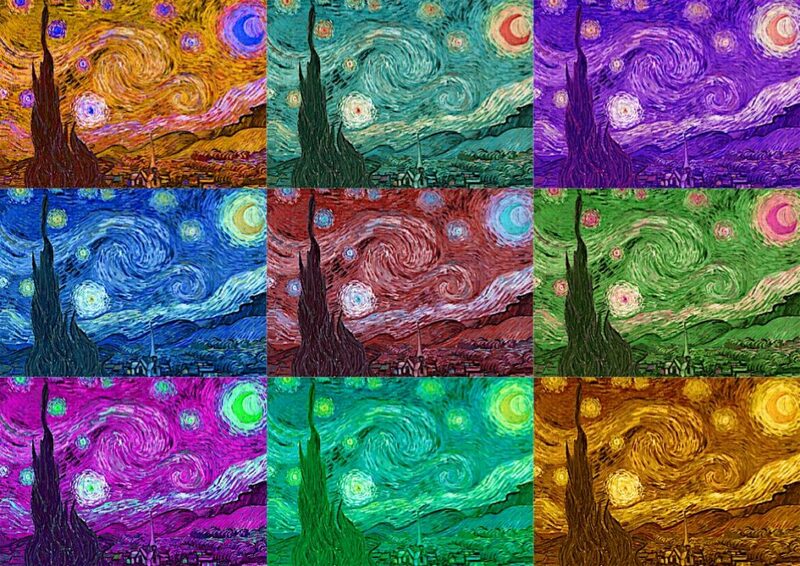 We specifically examined The Starry Night, one of the most famous painting of Van Gogh. 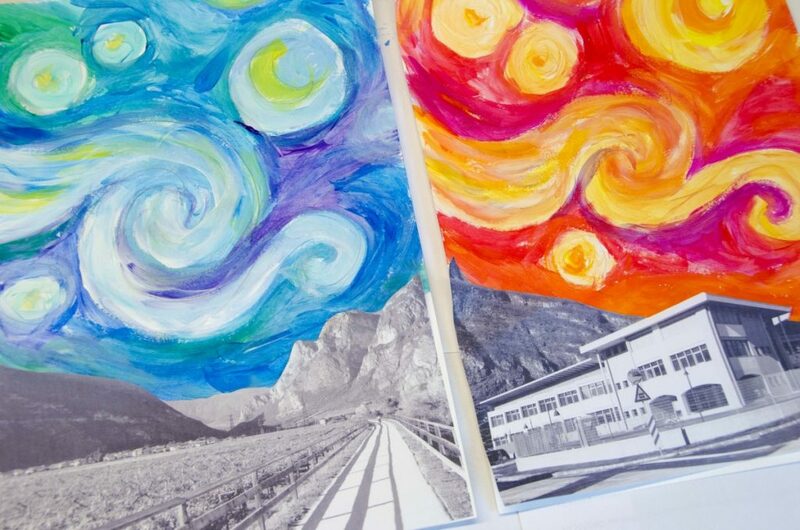 First every student took a picture of his road, house or view from the house window. 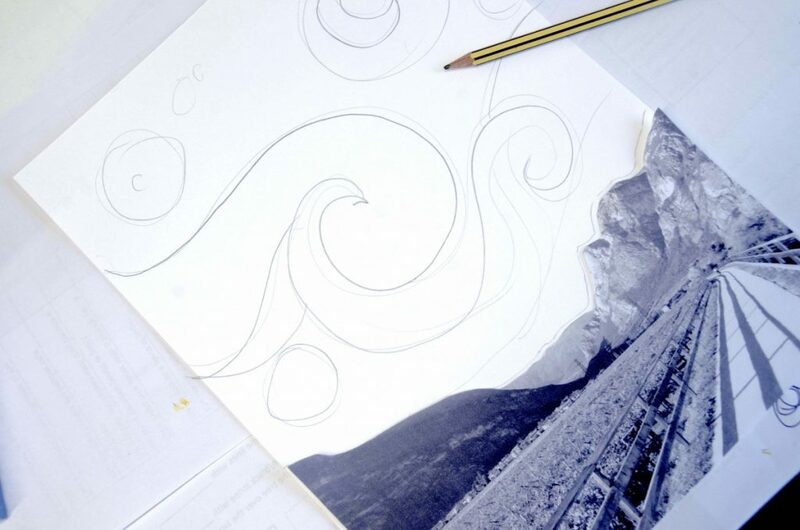 The picture has been printed in black and white and cut out along the skyline. 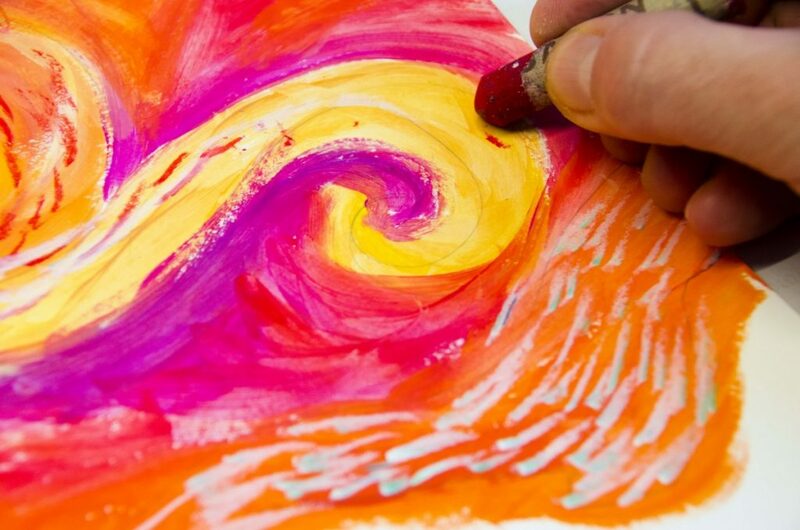 When the painting was completely dry we decorated the background with oil pastels, drawing dashed lines with shiny colors. 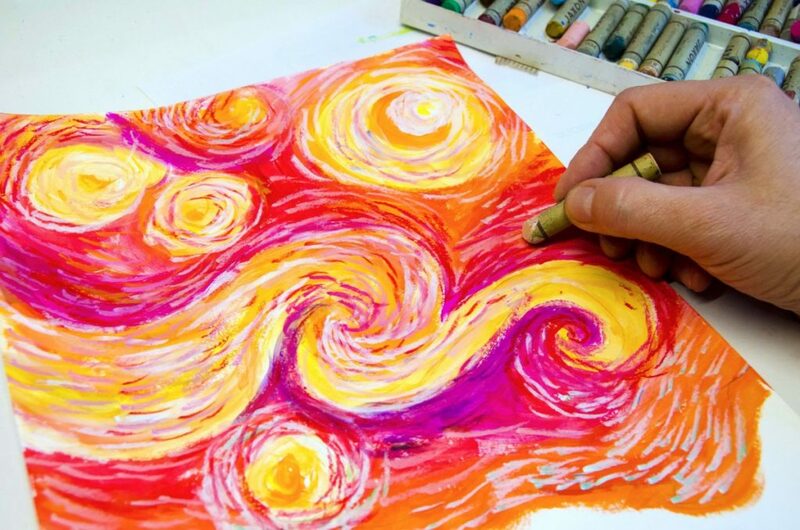 The lines follow the swirling path of the brushstrokes, giving to the painting a sense of vibrant movement. 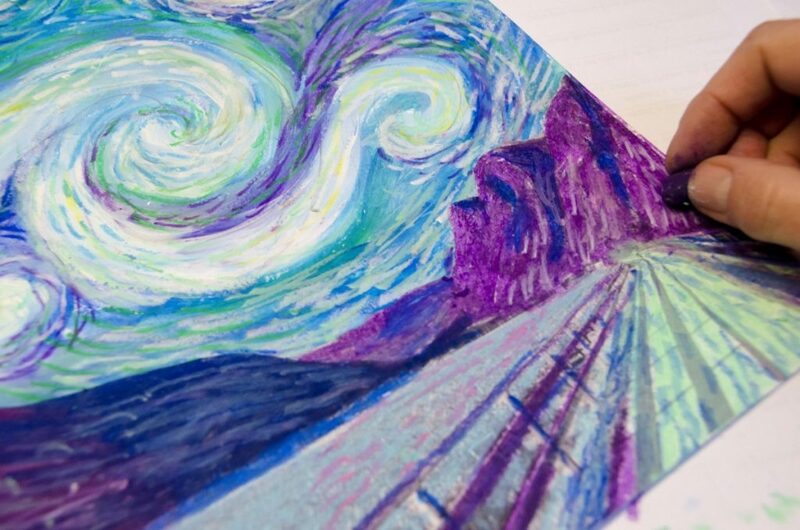 We glued the photocopy down, painted it with transparent color matching the background and added pastels in the same van Gogh style. 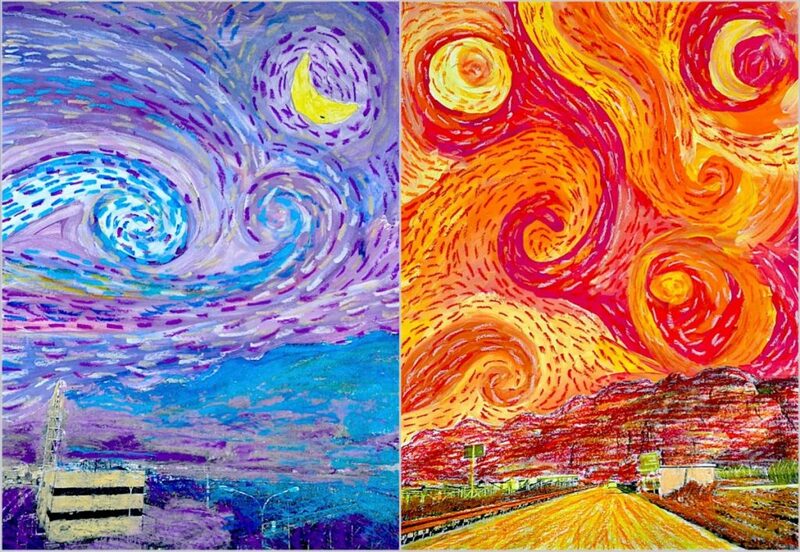 I think the effect is awesome and it seems that Van Gogh has really visited and painted our place!